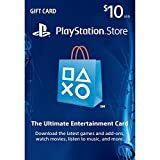 The next couple of PlayStation Store updates are set to bring a nice selection of PlayStation Plus promotions for those who subscribe according to a new post on the official PlayStation Blog. 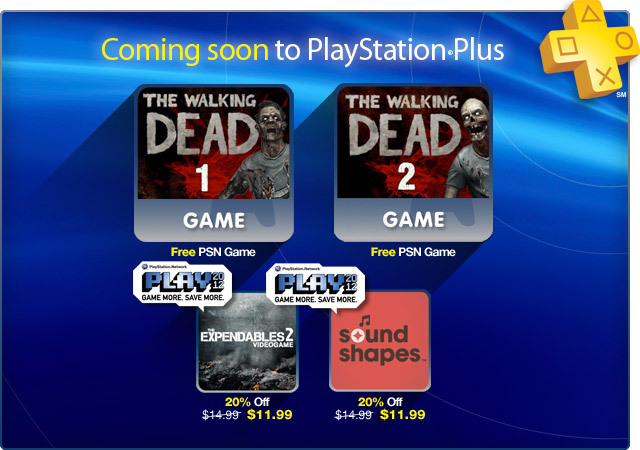 In addition to getting 20% off the upcoming PSN PLAY titles such as The Expendables 2 (which launches this week) and Sound Shapes (which launches next Tuesday, August 7th), Episodes 1 and 2 of Telltale Games’ episodic The Walking Dead PSN series will be available for free (next week) as well. On August 13th there will be even more freebies and promotions for PS Plus subscribers, but Sony is still keeping those a secret for now.